Sri Lanka, officially the Democratic Socialist Republic of Sri Lanka is a country off the southern coast of the Indian subcontinent. Known until 1972 as Ceylon, Sri Lanka is an island surrounded by the Indian Ocean, the Gulf of Mannar and the Palk Strait, and lies in the vicinity of India and the Maldives. It is part of South Asia. As a result of its location in the path of major sea routes, Sri Lanka is a strategic naval link between West Asia and South East Asia. It was an important stop on the ancient Silk Road. Sri Lanka has also been a center of the Buddhist religion and culture from ancient times and is one of the few remaining abodes of Buddhism in South Asia along with Ladakh, Bhutan and the Chittagong hill tracts. The Sinhalese community forms the majority of the population; Tamils, who are concentrated in the north and east of the island, form the largestethnic minority. Other communities include Moors, Burghers, Kaffirs, Malays and the aboriginal Vedda people. 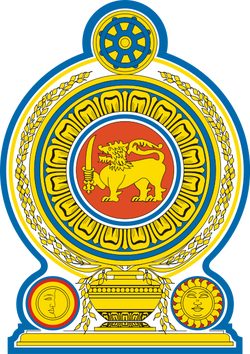 Sri Lanka is a republic and a unitary state which is governed by a semi-presidential system with its official seat of government in Sri Jayawardenapura-Kotte, the capital. The country is famous for the production and export of tea, coffee, coconuts, rubber and cinnamon, the last of which is native to the country. The natural beauty of Sri Lanka has led to the title The Pearl of the Indian Ocean. The island is laden with lush tropical forests, white beaches and diverse landscapes with rich biodiversity. The country lays claim to a long and colorful history of over three thousand years, having one of the longest documented histories in the world. Sri Lanka's rich culture can be attributed to the many different communities on the island. Sri Lanka is a founding member state of SAARC and a member United Nations, Commonwealth of Nations, G77 and Non-Aligned Movement. As of 2010, Sri Lanka was one of the fastest growing economies of the world. Its stock exchange was Asia's best performing stock market during 2009 and 2010. © 2005-2013 Lanka Direct Fund. All rights reserved.